Dry roasting is a cooking process where heat is applied to a nut without the addition of oil or water. The dry roasting process alters the chemistry of the proteins in the nut, which changes its flavor and color. Dry roasting is most commonly used on various types of nuts such as peanuts, cashews, almonds, and pecans. The Warrell Corporation has a dry roasted nut process in a temperature-controlled environment. We have two separate roasters, one for peanuts and the other for tree nuts. It’s important to keep the tree nuts separated from peanuts to eliminate allergen concerns. Our two gas-fired dry roasters can accommodate all of the roasting of nut meats used in our production facility in Camp Hill, PA, providing an approximate capacity of 23.5 million pounds per year. Although we primarily use our dry roasting nut method as a support mechanism for feeding our chocolate panning and brittle/nut crunch operations with roasted nut centers, we also can provide dry roasted nuts for other applications. 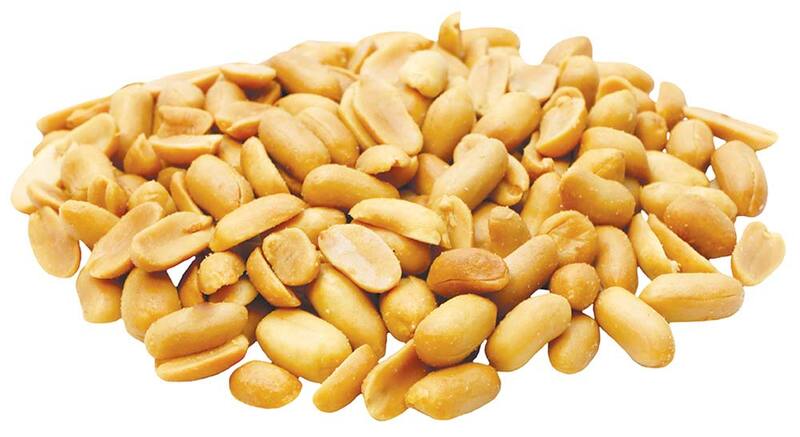 We can produce dry roasted nuts for retail and bulk sales to meet customer requirements. Contact the Warrell Corporation today to learn more about our dry roasted nut process and how it can benefit your candy/snack manufacturing operation. Our dry roasting capabilities also include contract candy making solutions that enable you to offer tasty cashews, peanuts, pecans and almonds made to your specifications. Our team of snack experts will work closely with your R&D staff to create a superior nut product that will enable you to increase revenues and profits. Our candy co-manufacturing approach ensures full collaboration during every aspect of your dry roasting project, including product development, packaging, marketing and distribution. We make contract candy manufacturing a hassle-free process. Our private-label candy manufacturing services are ideally suited for retailers and other confectionery and snack operations. Offering a private-label dry roasted nut product gives your customers a more affordable alternative to expensive national brands. In addition, with the painstaking quality-control steps included in every phase of our private-label manufacturing process, you’re always assured of getting a nut product that will exceed your customers’ expectations.